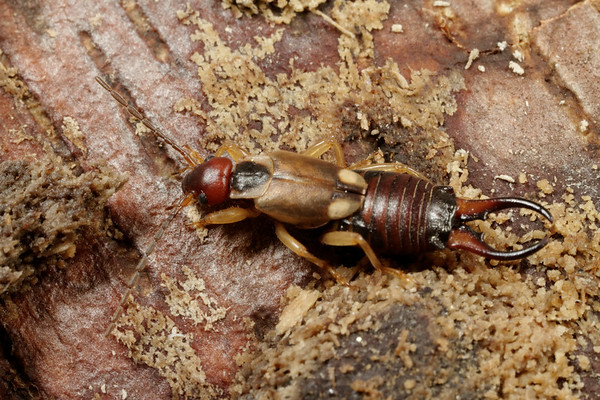 The order Dermaptera contains the earwigs. 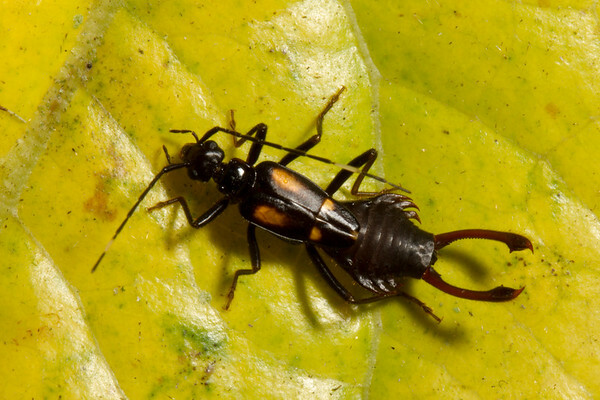 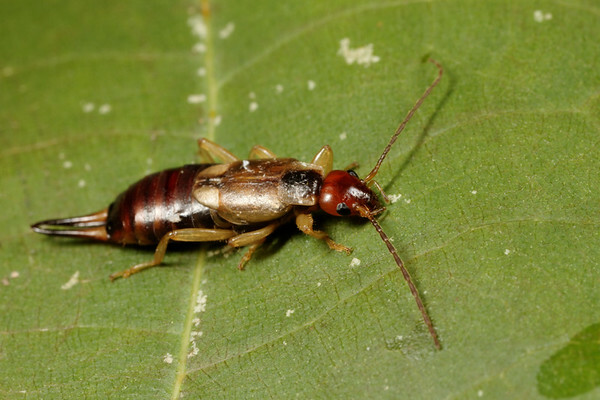 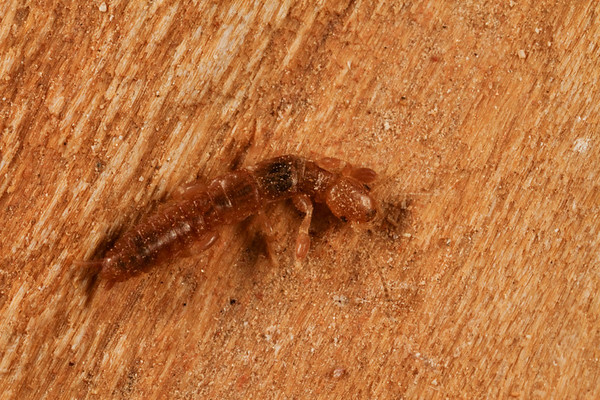 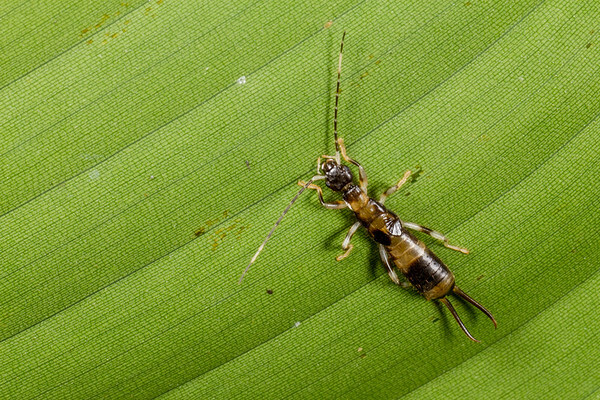 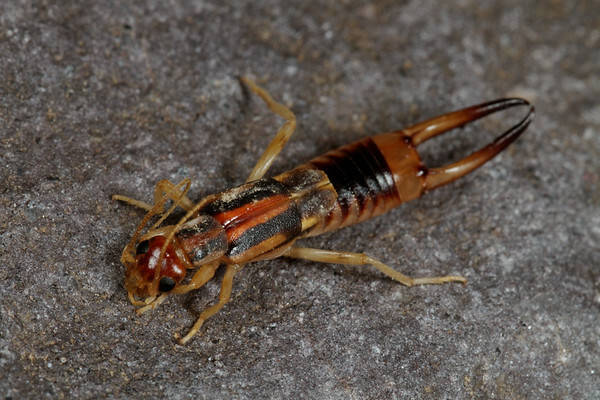 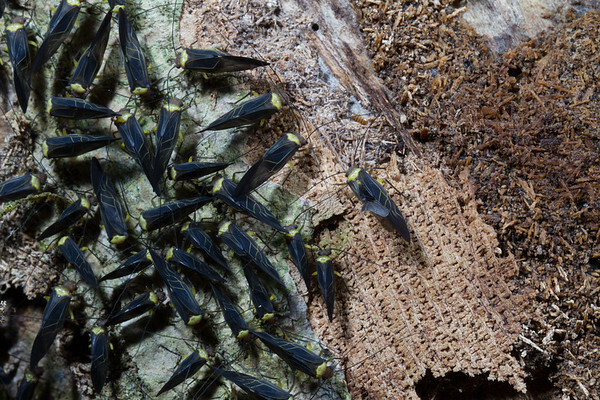 Earwigs are scavengers or herbivores that are active at night and hide during the day. 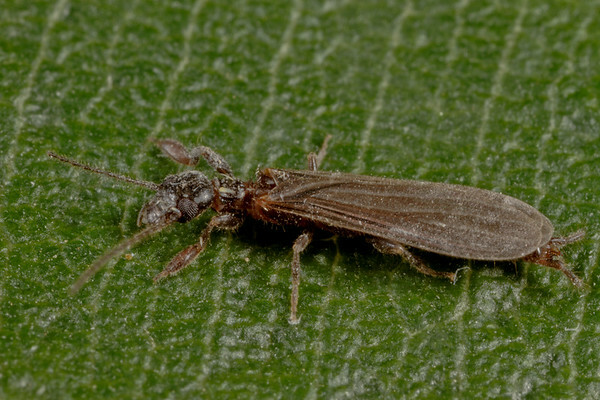 The front wings are short and thick and cover the hind wings. 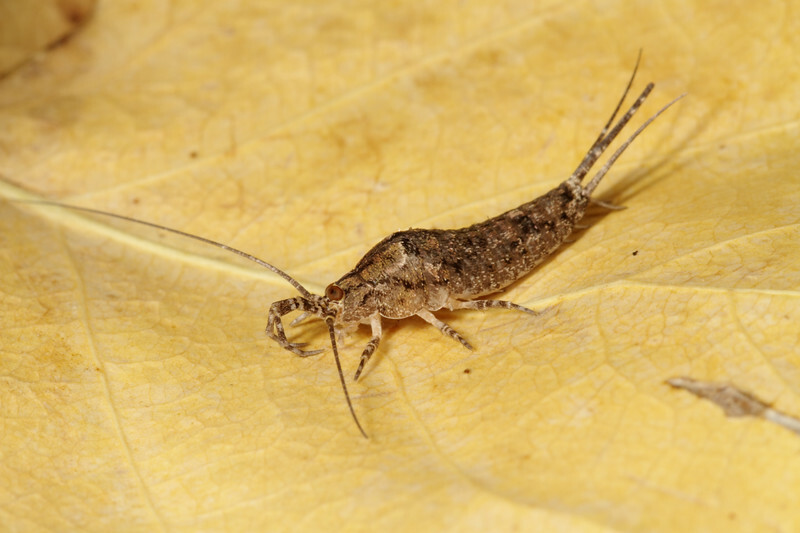 Bristletails are in the order Archeognatha and silverfish or firebrats are in the order Thysanura. 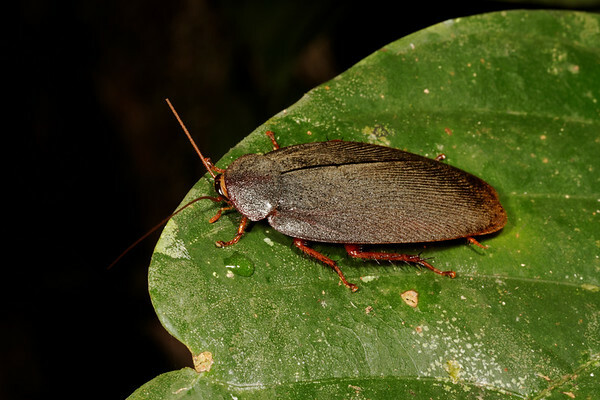 They are wingless, mostly active at night and long lived (several years). 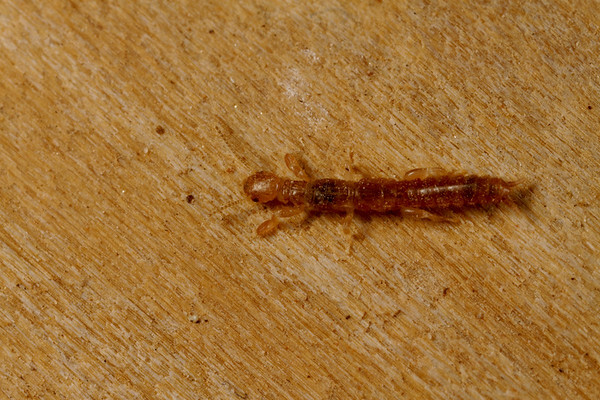 The order Embioptera consists of the webspinners. 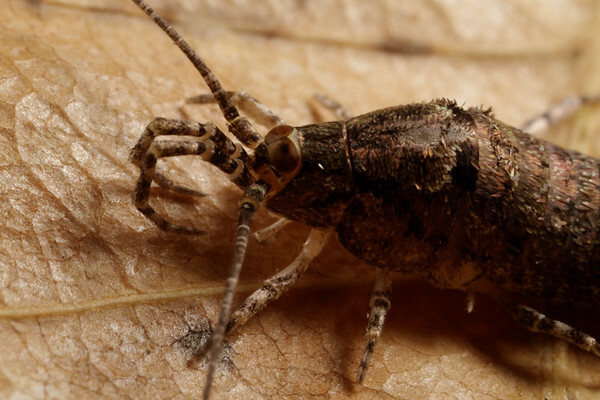 The tarsi of the front legs are enlarged an contain silk glands. 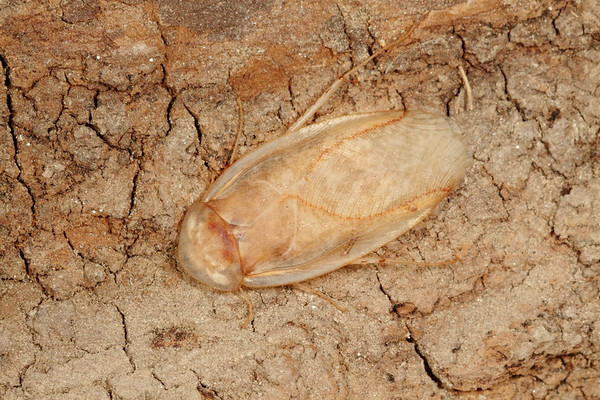 They live gregariously in silken tunnel nests Only the males have wings and are attracted to light.